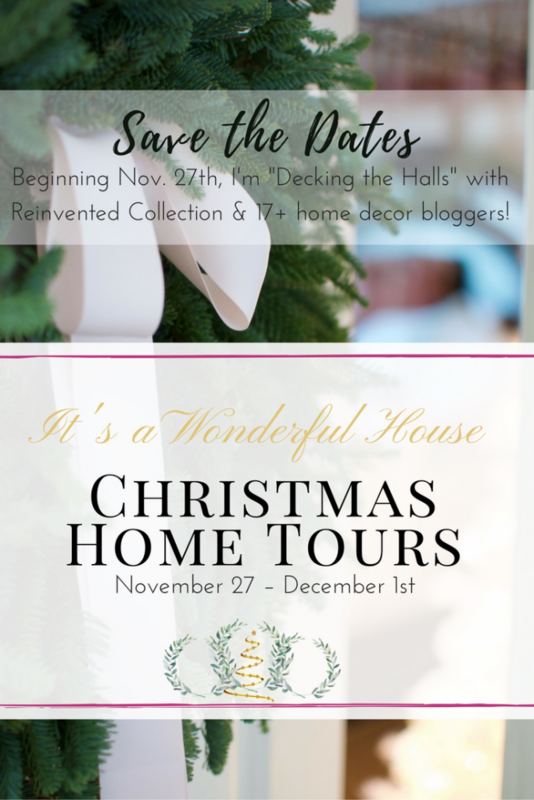 Welcome to the It’s A Wonderful House Christmas Home Tour & Blog Hop. Today is day four of the Home Tours. If you are visiting from White Arrows Home thank you for stopping by! 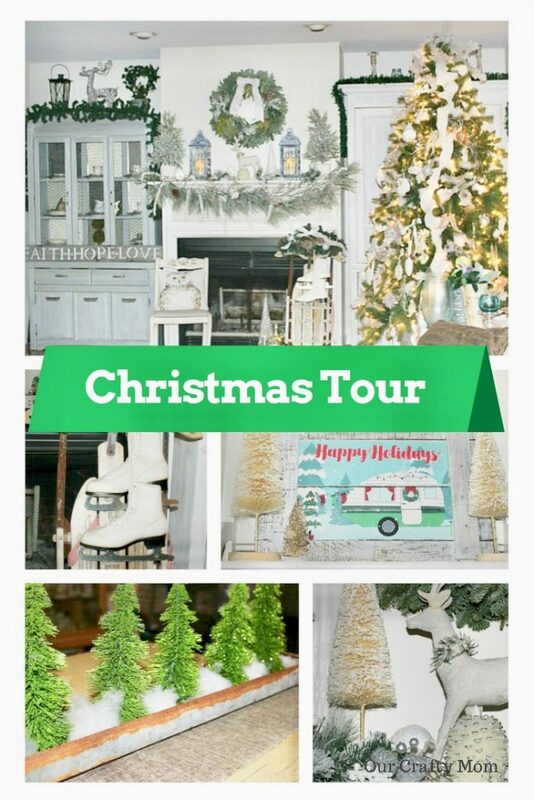 There are 16 of your favorite home decor bloggers sharing their Holiday Homes with you all week. So grab a cup of your favorite coffee or tea, turn on some Christmas music and settle in for some beautiful Christmas inspiration! A huge thank you to the lovely and talented Olivia from Reinvented who organized this entire event. Today I am sharing my living and dining room. Be sure to come back tomorrow to see my newly updated Master Bedroom all decked out for Christmas! 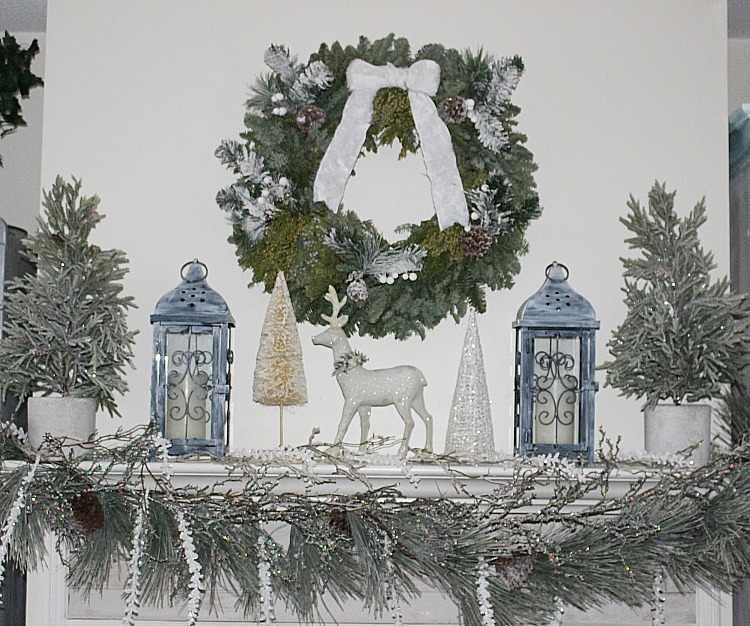 For this year’s Christmas decor I went with a winter white theme. 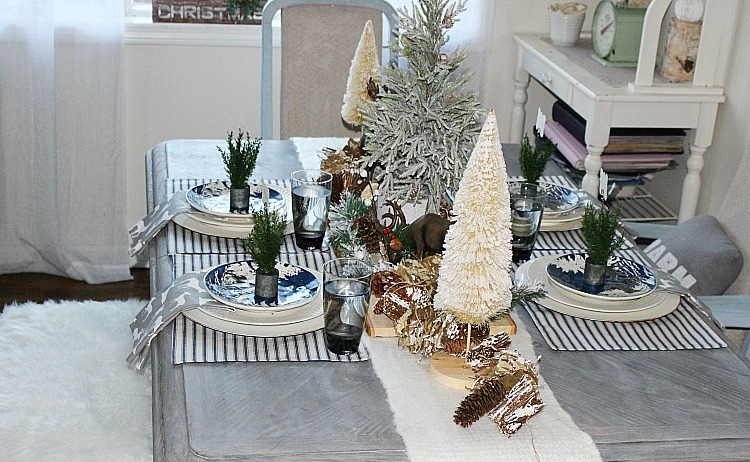 I like to decorate in neutrals with pops of blue and that is how I updated my Christmas Living and dining room. We live in a townhouse with an open concept living and dining room so I like the rooms to flow. I’m finding I prefer touches of Christmas here and there rather than overtaking the entire house. As the rooms are not that large, I don’t like it to feel cluttered. I added a few Christmas pillows and a super comfy Faux fur throw to the sofa. 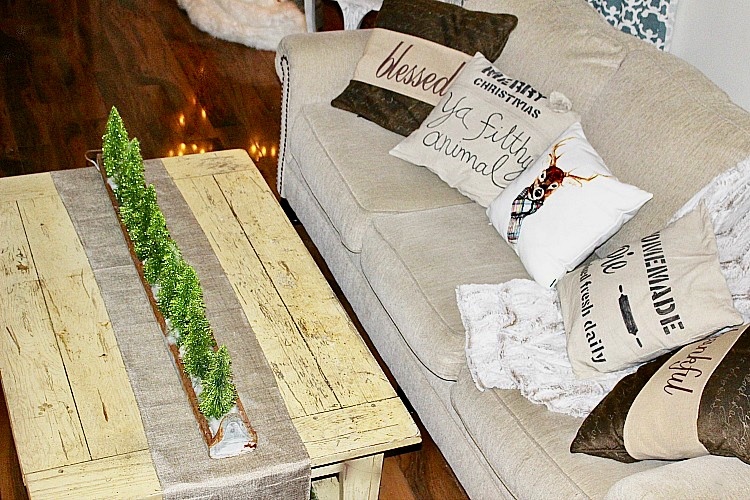 As this is where we watch television, I don’t want anything to obstruct the view so I keep the coffee table decor simple. 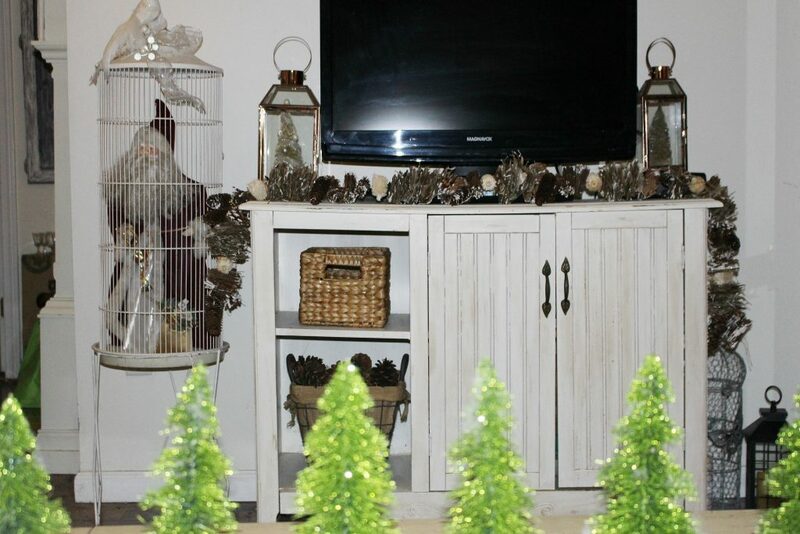 I love farmhouse decor and this antique chicken feeder from my Dad is one of my favorite pieces to decorate. I filled it with a collection of bottle brush trees and batting to give a look of snow. 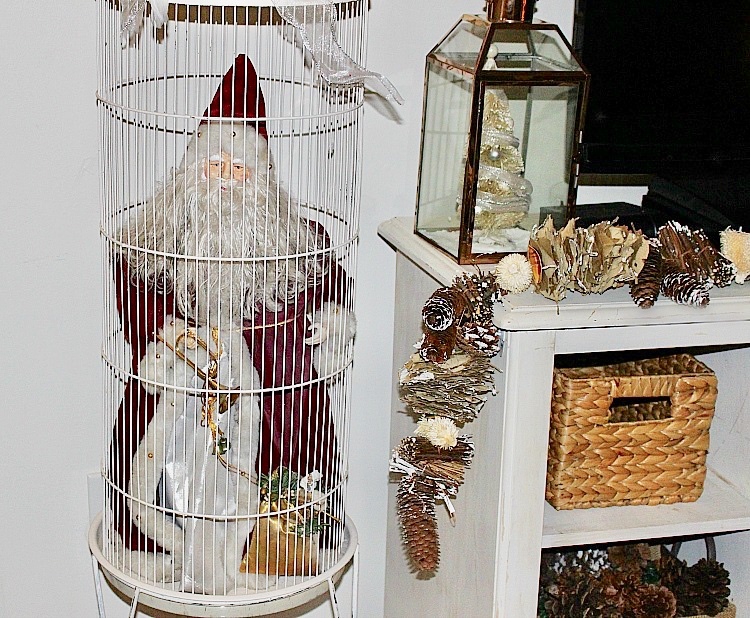 The Vintage birdcage received an update with one of my favorite Victorian Santas. I love Victorian Santas! 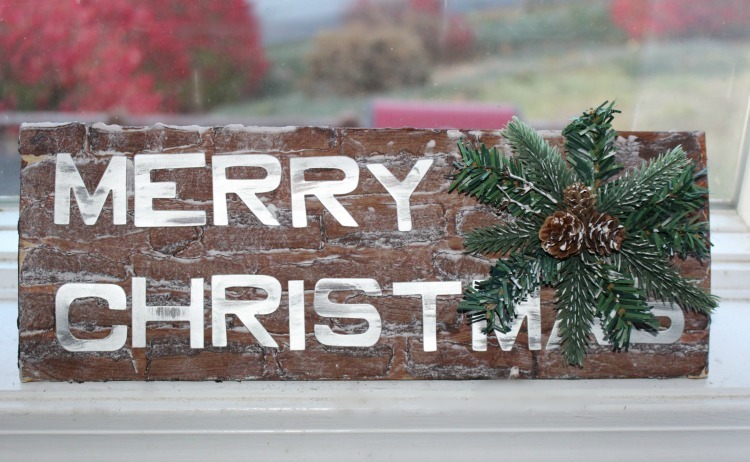 The natural pine cone frosted garland can stay up all winter. 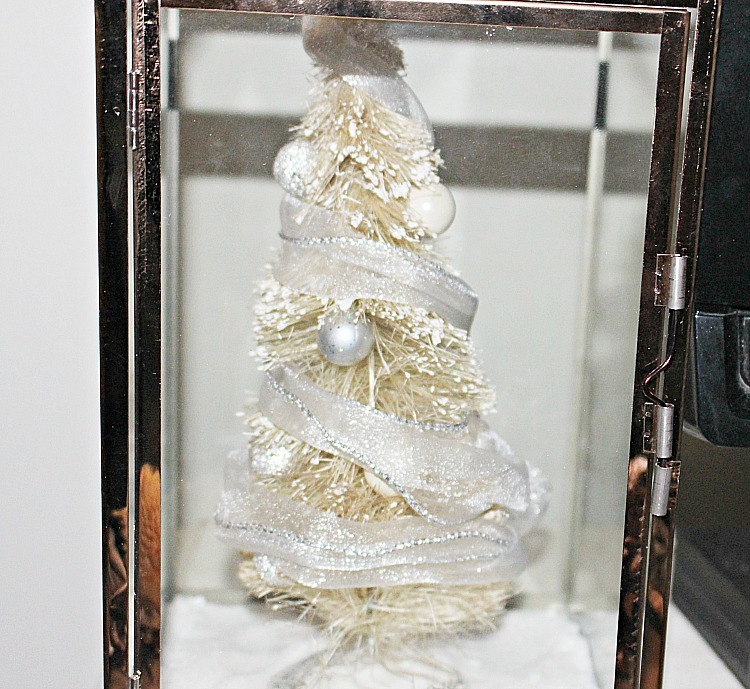 I love to decorate with lanterns and simply added a bottle brush tree and faux snow to these. 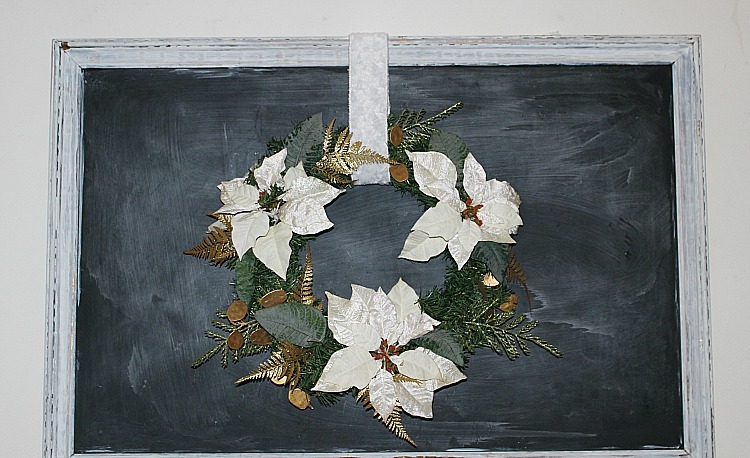 The large chalkboard was updated with a pretty poinsettia wreath. The mantel is my favorite place to decorate. 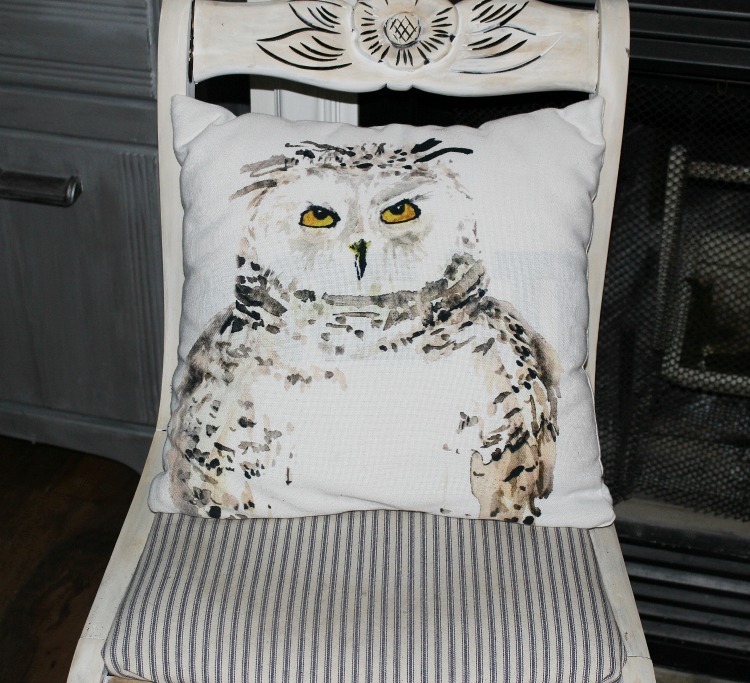 The hearth was updated with a snowy white owl pillow and an antique sled with skates. 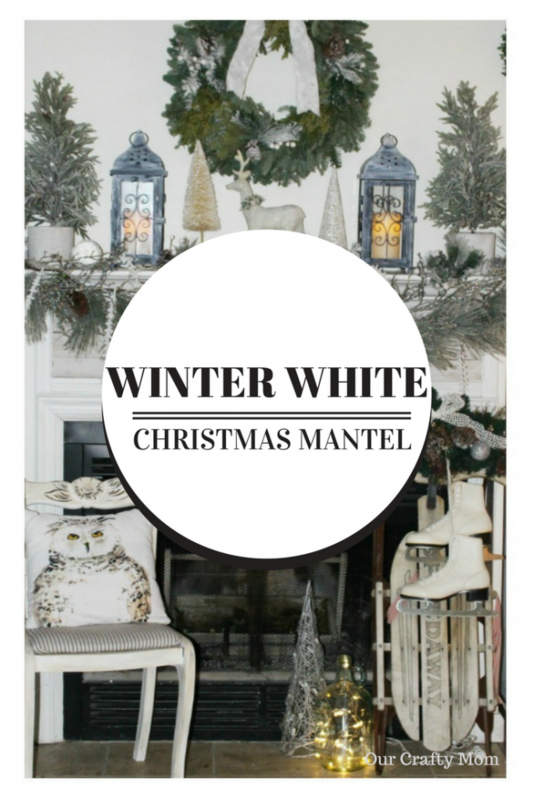 There are lots of snowy white garland and twinkling lights on the mantel which looks so pretty at night. 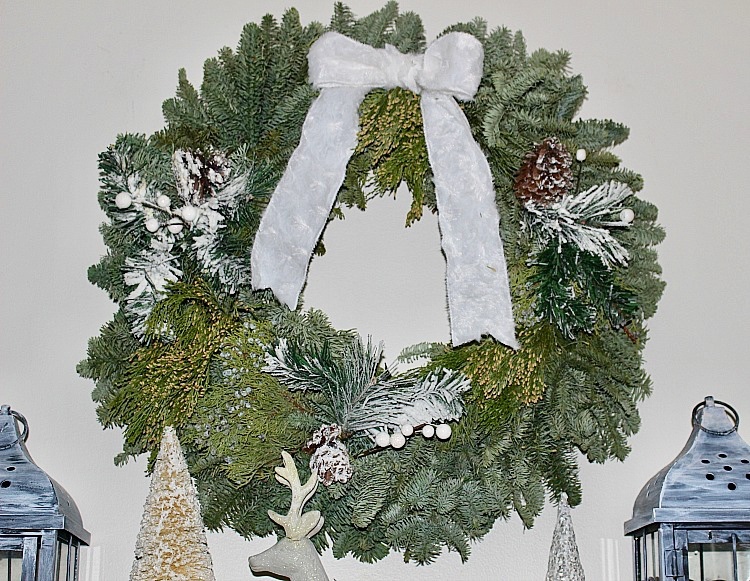 A beautiful real pine wreath from Christmas Forest is the perfect size to hang over the mantel. I added a Faux fur ribbon to it. I kind of love Faux fur! I shared a little sneak peek of my Christmas Tree, but I have to save the full reveal for next week. I do have a second in my bedroom that I’ll share with you tomorrow. 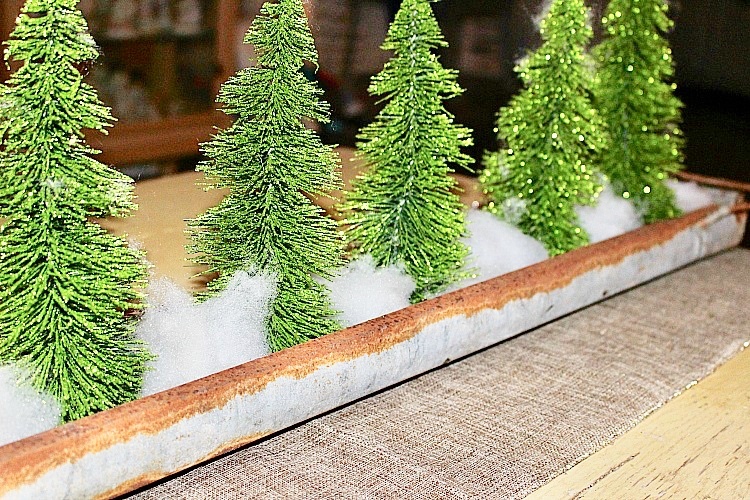 In the dining room I have the table ready with a Woodland Theme that carries over from the winter white mantel. 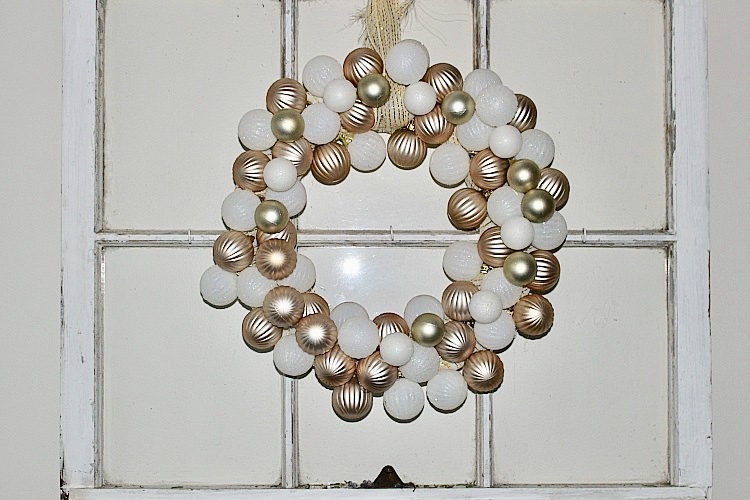 I have several DIY Projects in this room including the O Holy Night Sign and this ornament ball wreath . 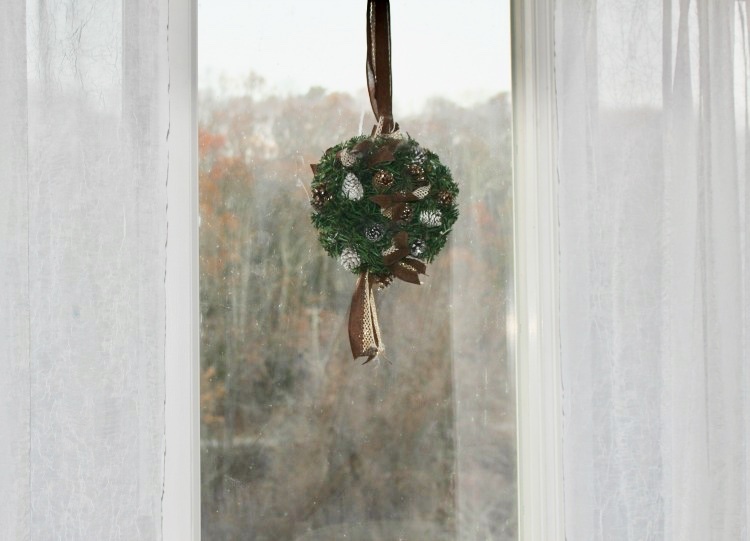 A DIY Kissing Ball hangs in the picture window. 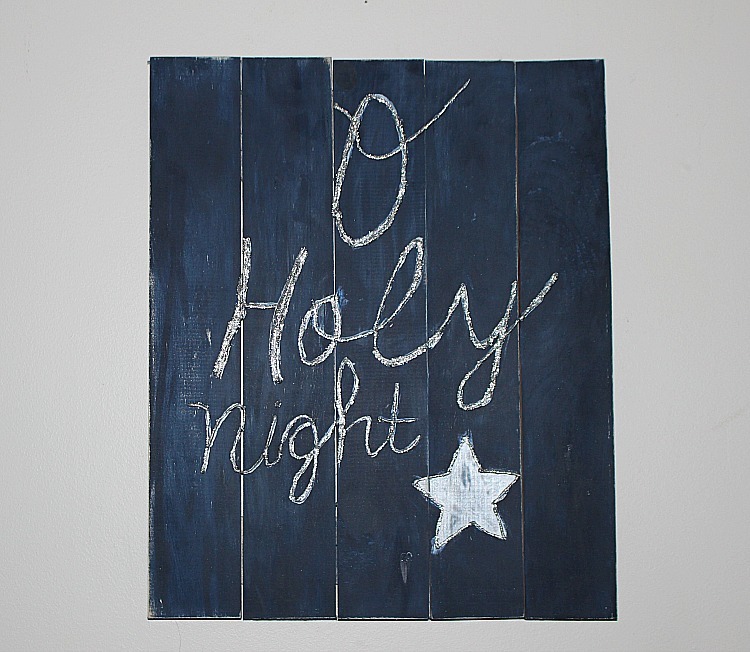 I just made this cute Christmas Camper Pallet Sign and will be sharing a tutorial soon. I hope you enjoyed my Christmas Living and Dining Room and will comeback tomorrow to see my master bedroom Christmas decor! 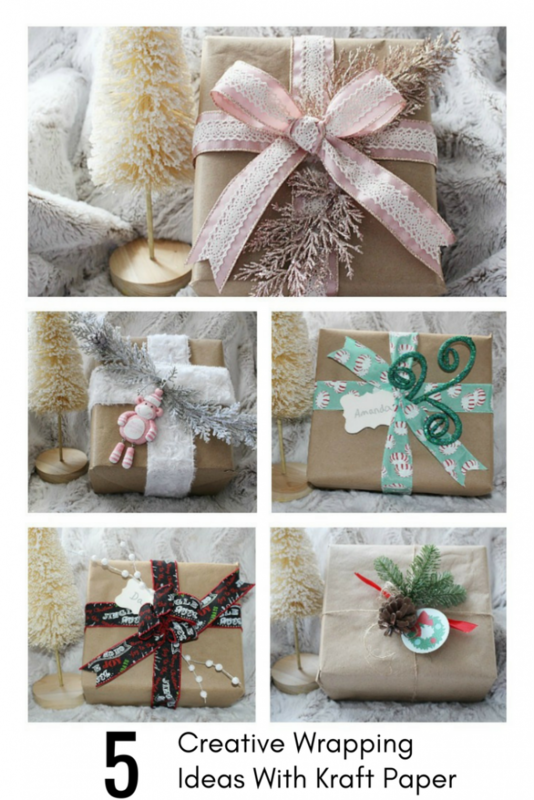 If you are looking for wrapping ideas check out this post. 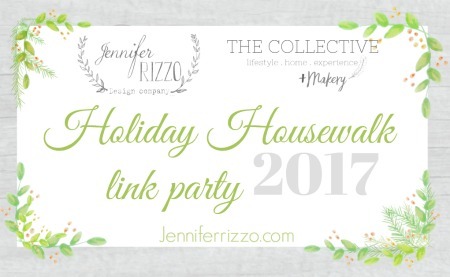 Be sure to head on over to Lincluden Cottage Life to see her beautiful Holiday Home. If you missed any of the tours so far, the links are all shared below. 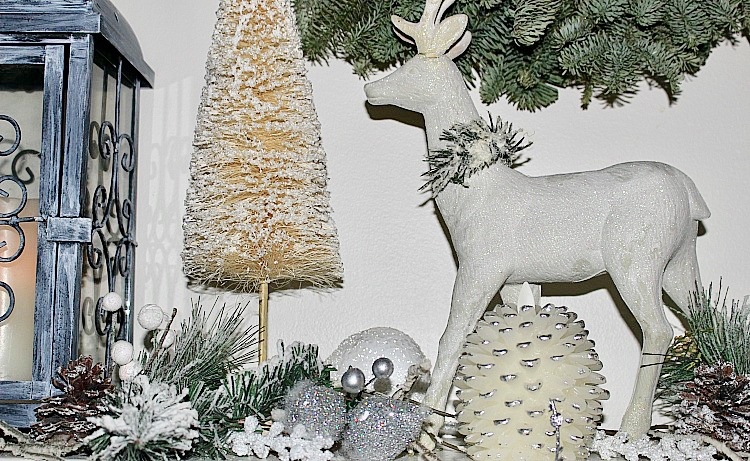 You definitely do not want to miss all of the gorgeous Christmas inspiration! Have a great day! Your home tour is wonderful I want to know how to make that Happy Holidays sign. Cannot wait to see the tutorial. 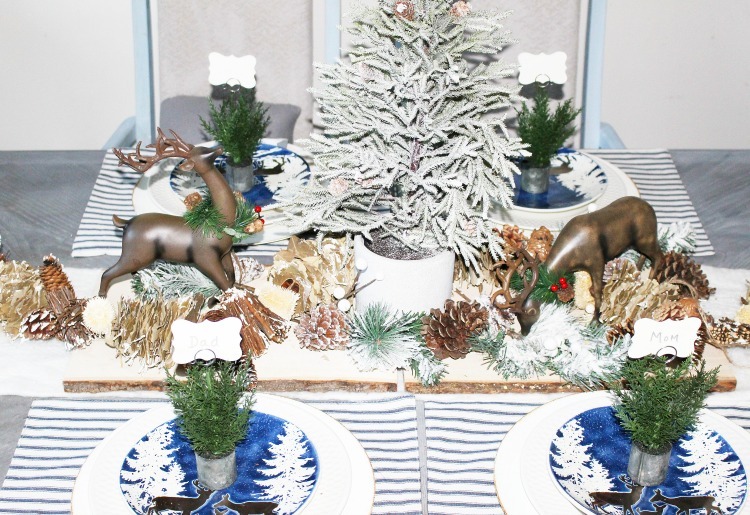 My favorite part is your tablescape, your really gifted at making a table look festive for a reasonable cost. I need to create one and will be looking through your blog for inspiration. Love your post as always. Your home looks so gorgeous! I love the neutrals and whites! Your Winter White theme looks so pretty! I love your chicken feeder and how you “planted” little trees in it for Christmas. So cute! 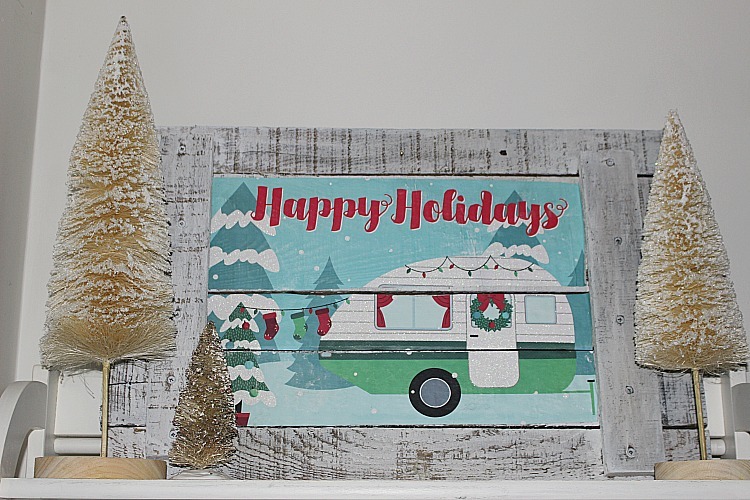 And that sign you made with the camper on it…Love! I so much enjoyed touring your home. 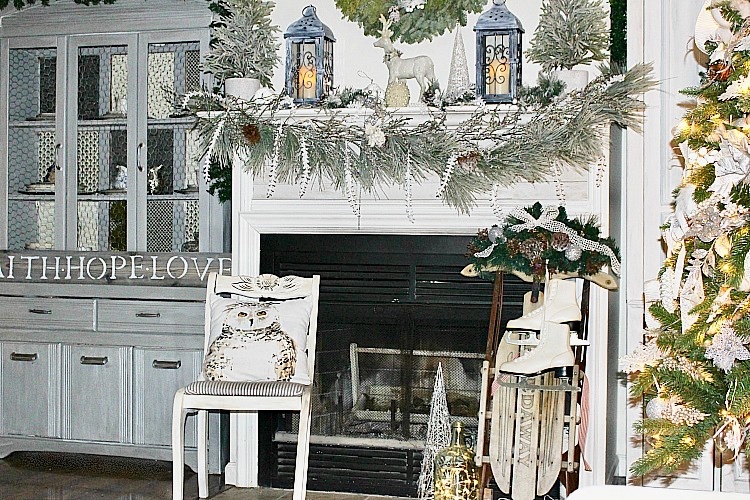 I love your beautiful Winter Whites, especially that gorgeous fireplace! Merry Christmas Michelle! 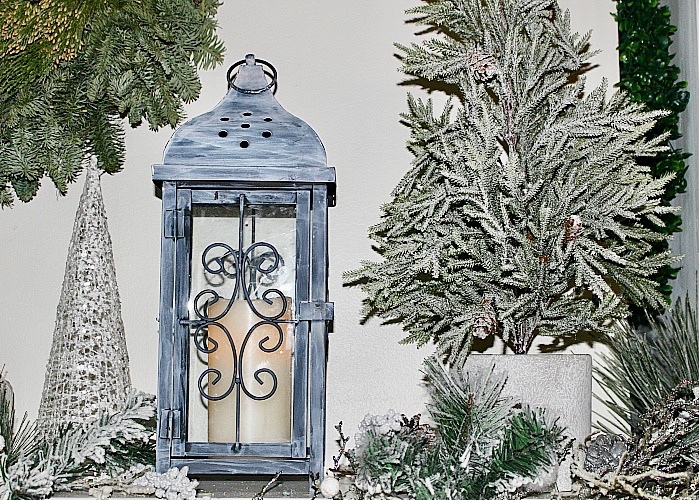 Your home is lovely and clearly you are ready for the holidays…enjoy with all your cozy decor. 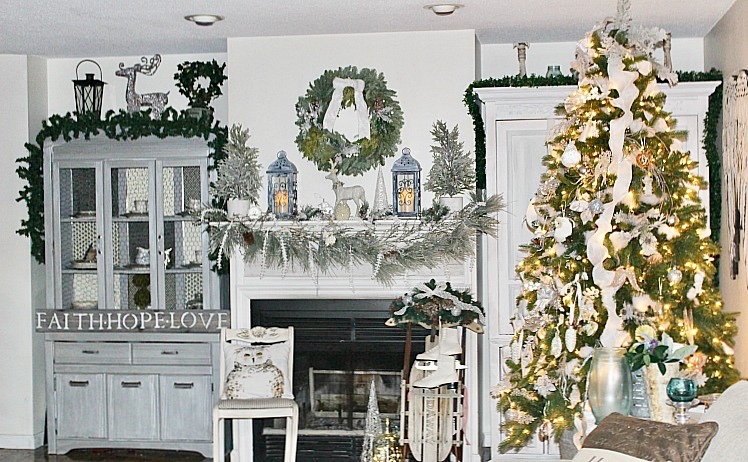 I love the winter white holiday decor theme – so many beautiful touches, Michelle! The wintery whites in your Christmas decor are pretty and I adore that pretty blush ribbon you found for your Christmas gifts. Thank you for joining It’s A Wonderful House tour. i love to decorate my home on every christmas. 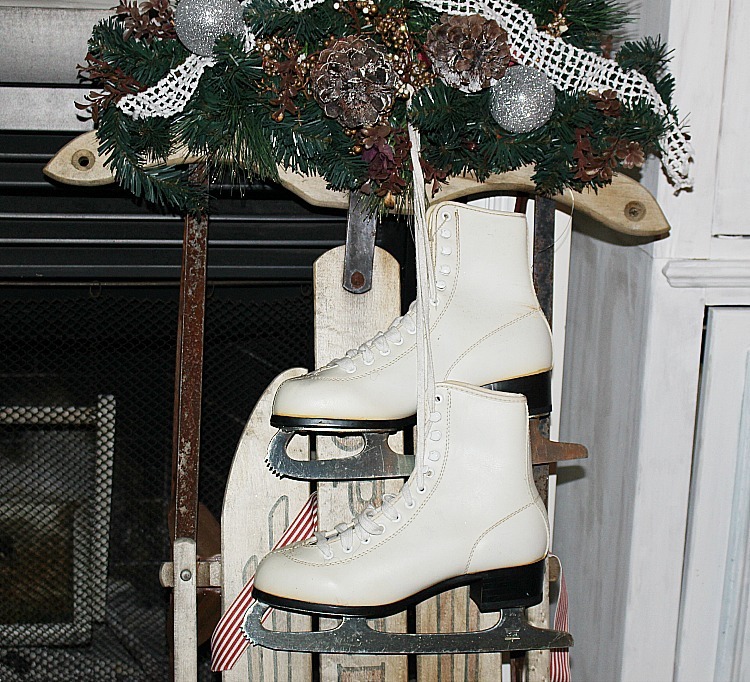 you lots your ideas of christmas decoration which inspired me. now i am planing to purchase one of them.